As HVAC contractors near Stillwater, we have helped countless home and business owners with all of their heating and cooling needs. 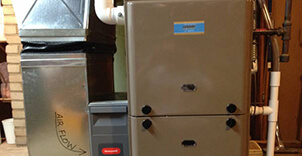 We can service air conditioners, furnace, boilers and much more. Whether you need an unscheduled repair or you are interested in our scheduled maintenance contracts, we can help with all of your HVAC needs. Call us, and we can schedule a time to come to your home or business and take a look at your HVAC equipment. We give free estimates on new installations too. Call us to find out more about the heating and cooling products that our HVAC contractors can install in your home. When it comes to repair work, we can repair any brand or type of HVAC equipment, be it an air conditioner, heat pump, boiler, furnace, gas fireplace and more. We also offer scheduled maintenance contracts. Those who sign up for these receive a variety of benefits including preferred scheduling, discounts, exclusive offers and more. You can call us to learn more about these services and how to sign up. Our HVAC contractors have been serving this community for several years. And through those years, we’ve gained a reputation for honest, high quality work at fair and reasonable prices. Our customers know they can trust us with all of their HVAC repair needs. 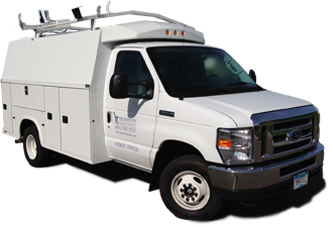 We will gladly come to your home or business to troubleshoot the issues you’re having, and we will make the repairs that are needed. If we determine you need a new heating or cooling system, we will gladly take accurate measurements to ensure we put in the right size system. A system that is too big or too small will drive up the cost of your utility bills, so we are always sure to install the correct size equipment for your home or commercial property. We offer free estimates on these new installations as well. Call us today to learn more or to get on our schedule! Do You Need HVAC Contractors? 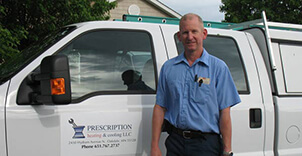 For more information on HVAC contractors near Stillwater, call us at Prescription Heating & Cooling at 651-767-2737 or you can contact us for a Free Estimate on a New Installation.